Production Resource Group, L.L.C. (PRG) will be demonstrating its innovative proprietary products as well as debuting new products at the PLASA 2013 show, October 6 – 9 in London. PRG will be on Stand R20 at the ExCel London Exhibition Centre, where attendees can get in-depth demonstrations of new, ultra-portable lighting and media control products, two new compact UV blacklight luminaires, PRG’s award-winning automated luminaire line and control console range, as well as PRG Nocturne’s LED video module products. PLASA 2013 attendees will get an opportunity to try out the compact V276 on Mac control interface (pictured) and Mbox Studio, a software-only version of the popular Mbox Extreme media server, both of which are available for sale. Both products are designed for use with a user-supplied Apple Mac computer. Individually these solutions are feature-rich but when combined, these two products provide a powerful, complete, compact and easily portable control solution for lighting and media from one computer. V276 On Mac is designed to be the entry-level version of the Vx76 lighting console range that can be easily transported. The V276 uses the same software as the rest of the Vx76 range including the powerful Media Display showing media server content. Paired with any user-supplied Apple Mac computer, the V276 acts as a control surface that takes full advantage of the network processing power of the Vx76 range of consoles. The hardware interface of the V276 includes six dedicated encoders, 10 submasters, directly outputs eight universes of Art-Net, four DMX outputs, and SMPTE timecode. It has one DMX input as well as works with MIDI controls. Mbox Studio is a powerful and portable media server solution that allows users to address the media needs on a range of productions. While this compact version has fewer parameters and less complex operations, it still offers substantial functionality and the versatility expected of an Mbox product. Studio operates identically to the Mbox EXtreme in both movie playback effects and in transition functions. It is designed primarily for playback of SD content but can handle HD content. It offers eight playback layers and a fully functional pixelmapping toolset. Bundled with Mbox Studio is Mbox Director, a graphical user interface so you don’t need a lighting desk to operate any of the media servers in the Mbox range of products. Debuting in Europe are the UV Bullet and UV Wash, compact, high-output ultraviolet LED luminaires. Both units use powerful 365nm UV-A-LED emitters for blacklight effects. These luminaires address the needs of lighting designers and specifiers who require small, lightweight UV fixtures for blacklight highlights. They offer high output with tool-free versatility to allow true precision blacklight effects in a range of entertainment and architectural applications. Packed with features, the UV Bullet produces a powerful ultraviolet output while housed in a discreet, compact form factor. This focusable ultraviolet luminaire uses a powerful 365 nanometer UV-A-LED emitter for stunning blacklight effects with minimal visible light. The UV Bullet, which dims smoothly over the whole output range, draws only 18-watts yet offers a high output that surpasses much larger UV luminaires that typically use discharge lamps and which can’t be dimmed. The UV Wash is a 35-watt ultraviolet LED wash luminaire for lighting designers who require a lightweight and variable beam spread UV floodlight for blacklight effects. A key feature of the UV Wash is its 10° native lensing for creating a powerful beam of UV light. Optional linear, medium, and wide flood lenses are available for covering broader areas with a wash of UV light. The accessory holder accepts industry standard 7-1/2” accessories such as a barndoor or snoot. Also on display is the PRG V676 lighting control console, developed by PRG’s Emmy award winning R&D group. V676 provides a sophisticated and powerful software platform that is reliable and extremely user friendly. The latest version now features an internal dual Apple Mac mini combination as the processing unit thereby eliminating the external processing rack. The V676 still offers the superb graphics and fast processing that programmers prefer. The V676 is optimized for an array of work environments with backlit buttons, low profile displays and off-axis viewing. 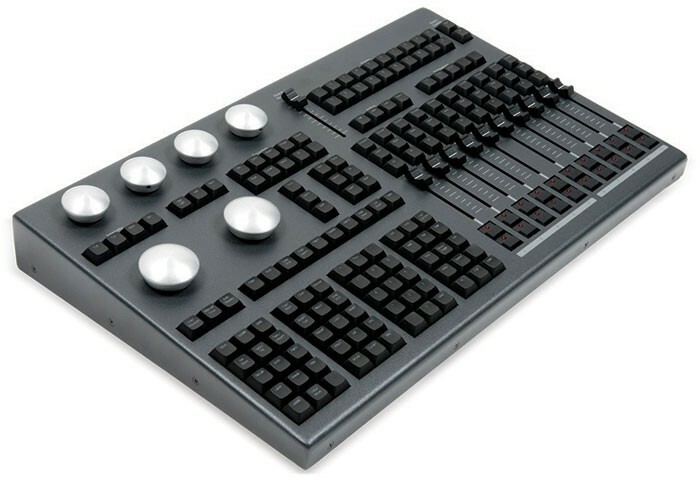 V676’s cutting edge software; sleek hardware; graphical user interface; and host of features make it the perfect control console for both lighting and media. The award-winning PRG automated luminaire proprietary product line will also be on display including the energy efficient, all-in-one Best Boy Spot and the powerful Bad Boy Spot automated luminaires. The Best Boy, purpose-built to be the ultimate designer’s multi-tool fixture, is highly energy efficient producing over 20,000 lumens, while only drawing five amps and comes complete with an all-inclusive feature set including both shutters and an iris, superior speed, and unmatched clarity in optics. The Bad Boy, a large venue luminaire produces an astounding 48,000 lumens, from a 1,400-watt lamp for an efficient punch of light that can easily compete with high-brightness LED screens. Attendees will also be able to see the PRG Nocturne V-Series LED Video modules, which all offer imaging in a flexible yet rugged modular design so designers have unlimited creative options while also balancing the practical needs of a production. As a modular purpose-designed unit they allow for custom-sized configurations and fast-deployment. Every module is precisely color calibrated for accurate module-to-module color matching and the V-Series doesn’t use shaders or hoods so they provide very wide viewing angles. The PRG Nocturne V-9, V-9 Lite, V-18 and V-28 LED video modules offer the range of resolutions and transparencies to ensure a superior quality image. PRG will be at the ExCel London Exhibition Centre on Stand R20. Open hours are: Sunday 6 October: 10am – 6pm, Monday 7 October: 10am – 6pm, Tuesday 8 October: 10am - 6pm and Wednesday 9 October: 10am - 5pm.